Other distinctives are the doctrines of grace, which depict what God has done for mankind’s salvation: (1) Total depravity of man. Man is completely incapable within himself to reach out towards God. Man is totally at enmity with God, cf. Romans 3:10-23. (2) Unconditional election by the grace of God. There is absolutely no condition in any person for which God would save him. As a matter of fact, long before man was created, God chose or predestined some to everlasting life. He did this out of His mere good pleasure, cf. Ephesians 1:4 and 5. (3) Particular atonement. God in His infinite mercy, in order to accomplish the planned redemption, sent His own Son, Jesus Christ, to die as a substitute for the sins of a large but specific number of people, cf. Romans 8:29 and 30. (4) The irresistible grace of God. This is the effectual work of the Holy Spirit moving upon a particular person whom He has called, applying the work of redemption, cf. John 3:5 and 6. (5) The perseverance of the saints. This is that gracious work of God’s sanctification whereby He enables a saved person to persevere to the end. Even though the process of sanctification is not complete in this life, from God’s perspective it is as good as accomplished, cf. Romans 8:30, 38, and 39, and Philippians 1:6. The PCA maintains the historic polity of Presbyterian governance set forth in The Book of Church Order, namely rule by presbyters (or elders) and the graded assemblies or courts. These courts are the session, governing the local church; the presbytery, for regional matters; and the general assembly, at the national level. It has taken seriously the position of the parity of elders, making a distinction between the two classes of elders, teaching and ruling. It has self-consciously taken a more democratic position (rule from the grass roots up) on presbyterian governance in contrast to a more prelatical form (rule from the top assemblies down). The PCA Ministry Buildings in Lawrenceville is the location from which most of the ministries of the denomination are coordinated. These ministries are carried on by four Program committees — Mission to the World, Mission to North America, Christian Education and Publication, Reformed University Ministries, and one service committee, the Administrative Committee, responsible for the administration of the General Assembly. Additionally, there are five agencies which also minister to the denomination: PCA Foundation, PCA Retirement & Benefits, Inc. (both located in Lawrenceville), Ridge Haven, (the PCA conference center located close to Rosman, North Carolina), Covenant College in Lookout Mountain, Georgia, and Covenant Theological Seminary in St. Louis, Missouri, (the national educational institutions of the PCA). 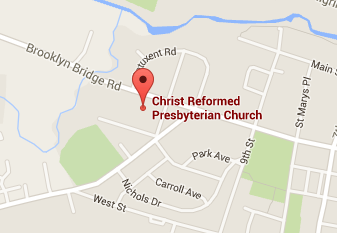 The influence of the PCA extends far beyond the walls of the local church. Mission to the World has 519 career missionaries in almost 60 nations of the world, 169 two-year missionaries, and over 6500 short term missionaries. Because of the unique relationship between Mission to the World with over thirty mission organizations with whom some of our missionaries are working, some consider that the influence is far greater than our size might indicate. Indeed, PCA churches support an additional 690 career missionaries, covering over 130 nations. Further, with more than 100 chaplains in the military, Veterans Administration, prisons, and hospitals, and 45 college and university campus ministers, the Gospel is proclaimed to a rather large audience around the world not reached through usual outreach channels. Because of the emphasis on education, there are many members of the PCA who are teachers and professors at all levels, including a significant number of large universities and theological seminaries.